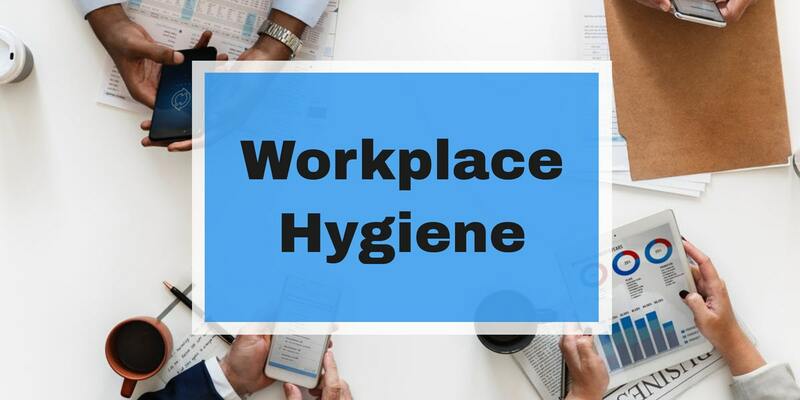 Workplace hygiene is a critical component of cleaning for health first--requiring adherence to high-quality handwashing practices, as well as self-policing desk cleanliness and shared workspace behaviors. Poor workplace hygiene can lead to several expensive issues, including absenteeism, presenteeism, and the elusive sick building syndrome. According to the Harvard Business Review, more employees are working when they are sick, costing employers about $150 billion to $250 billion or 60 percent of the total cost of worker illness. Additionally, chronic diseases, a rapidly-aging workforce and factors like stress, fatigue, and depression all affect employers’ revenue. This can be debilitating for workers, cause extreme work-related stress, drive down productivity and job satisfaction, and result in inestimable losses to businesses, both financially and talent-wise. Combatting these issues requires a combination of modern, green-focused cleaning methods and an adherence to workplace hygiene by all building occupants. In addition to adopting a building-wide clean for health first approach that focuses on improving indoor air quality (IAQ) through the use of safer cleaning products and more efficient cleaning equipment, the following should be adopted by businesses wishing to protect their occupants and profit margins in the years to come. Proper handwashing practices are likely the single greatest separator dividing a healthy workforce and a chronically ill one. Hand-to-surface/surface-to-hand contact is the single largest purveyor of workplace acquired illness--an extremely costly, yet entirely preventable challenge facing every business and school across the country. Unfortunately, far too few occupants adhere to any semblance of hand hygiene. [...] 56% of workers say they frequently or occasionally see their colleagues leave the restroom without washing up. And men are more likely than women to overlook this tidy task: 63% of men frequently or occasionally observe non-washing behavior compared to 49% of women. Posters that serve as reminders, as well as hands-on training sessions, have demonstrated some value in improving worker and student handwashing, but a key factor that may be overlooked--entirely within the control of the facilities maintenance and administrative staff--is the cleanliness of the restroom facilities, as well as the availability of soap and fresh paper towels. Numerous studies have detailed exactly how disgusting the average office desk when left unattended, can become. Have been shown to harbor more germs than the office toilet seat. A lack of routine sanitation of well-documented germ hot spots. A single behavior that ties both of these issues together, leading to the ingestion of several germs and intestinal bacteria more commonly found in restrooms, is the ill-advised practice of eating at one's desk. Providing desk workers with hand sanitizer and disinfectant wipes. Equipping your cleaning crews with electrostatic disinfection equipment that is safe for use on electronics. Office breakrooms share many of the same issues as dirty desks, with one exception--the volume of workers sharing the same space. Foot traffic, combined with numerous germ hot spots, makes office lunch and breakrooms one of the most likely locations for occupants to pass and pick up germs that lead to costly illness and productivity losses. The filthiest locations are the very first thing office workers tend to touch in the morning--coffee pot handles and mugs. The problem is exacerbated significantly by the use of dirty old kitchen sponges--likely harboring enough germs per square inch to justify immediate disposal and a switch to regularly laundered microfiber towels. Encourage occupants to wash their hands before eating. Arm the regular staff with disinfectant wipes to sanitize their eating space before and after dining. Improving workplace hygiene is a proven method for improving worker health, engagement, and productivity, as well as a business' profits. Additionally, combining high-performance workplace hygiene practices with a clean for health first initiative building-wide will make your business more appealing to your local community, as well as prospective workforce talent.